The best pictures of the Knights Hospitaller are striking images of the great mediaeval Roman Catholic Order. 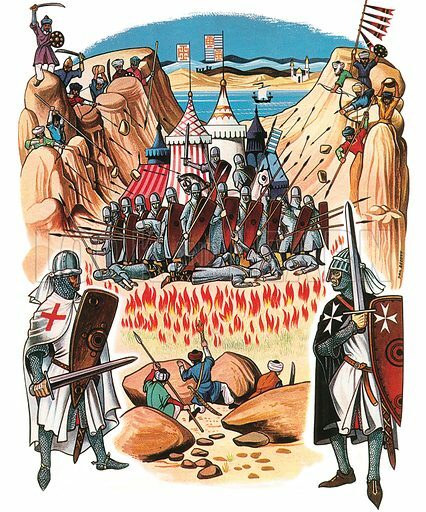 The first picture shows the knight on the First Crusade. The second picture shows the knights’ heroic deeds in Jerusalem. 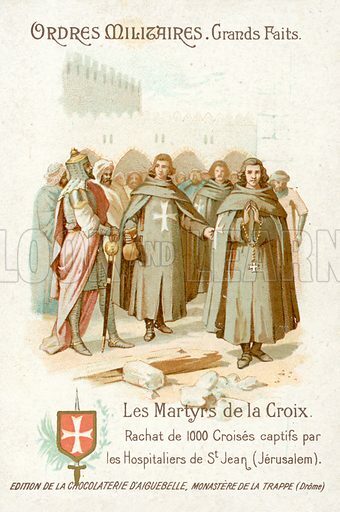 The third picture shows The Master of the Order with Richard the Lionheart. 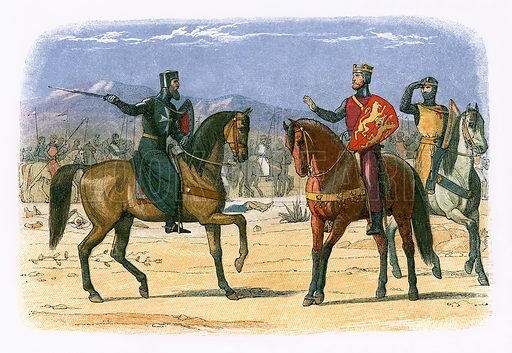 Many more pictures of knights can be found at the Look and Learn picture library. 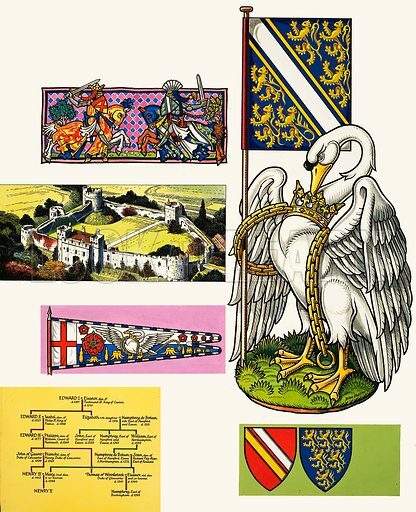 The best pictures of Swan of the De Bohuns are heraldic images relating to the noble family whence came the mother of Henry V.
The first picture shows the De Bohun’s heraldic swan and family castle. 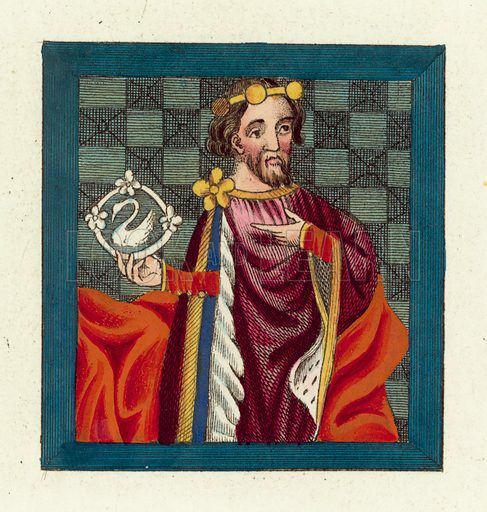 The second picture shows Thomas of Woodstock, 1st Duke of Gloucester with the badge of his wife, Eleanor de Bohun. 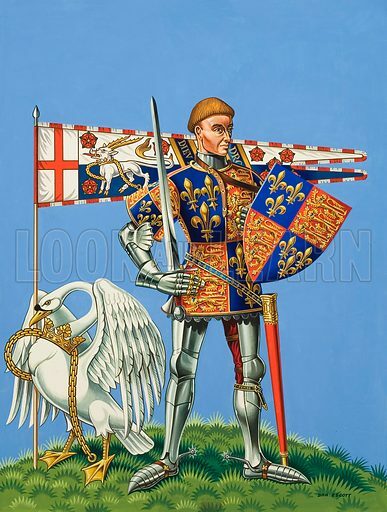 The third picture shows Henry V with his mother’s badge, the De Bohun swan. Many more pictures of heraldry can be found at the Look and Learn picture library.